Freshly Made Sketches #200 – A Celebration! Freshly Made Sketches #200 – A Celebration! 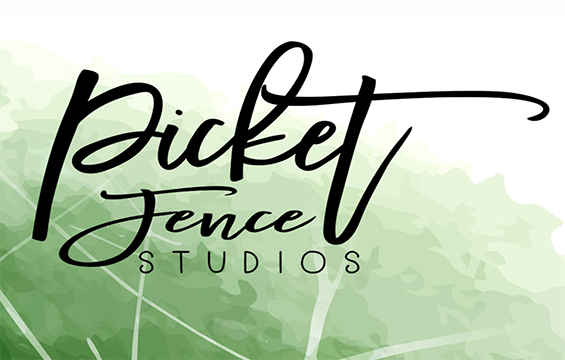 published on August 19, 2015 Read more posts by the author of Freshly Made Sketches #200 – A Celebration!, Jentimko32 Comments on Freshly Made Sketches #200 – A Celebration! The day is finally here! The 200th sketch over at Freshly Made Sketches!! I had to stop and take in all that means when it comes to crafty inspiration. The amazing challenge consistently has over 100 players each week. That means over the last 4 years our challenge has had over 20,000 cards shared! Wow. Just wow! When Lesley started this challenge, I felt immediately like she had put words to my style. Clean but not always simple. 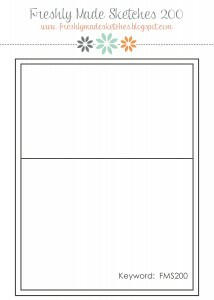 Don’t get me wrong, I like Clean AND Simple (CAS) but many times I make cards that have clean lines but also take a long time to make. Sometimes it is a technique, sometimes it is detail work, sometimes it is working on balance…but many of these clean cards are actually hard. *smile* Lesley gave me an a-ha moment and clearly I am not the only one! The success of this challenge is about the right mix of sketches and the amazing design team (I still pinch myself that I get to be a part of it!). It is even more about YOU, the greater crafting community. Our sponsors recognize what you bring and have been so generous in all they are offering as prizes! We don’t have a traditional sketch hostess today. The whole team is your hostess! We chose a sketch that we felt allows for lots of expression and creativity. Based on what I have seen from both our FMS DT and our guest DT members, we were right. I hope that you will enjoy it as much as we already have! I had so many ideas for this sketch that I could barely clear my head enough to use just one (actually I have more cards to share with you later this week). This one really reflects some of my favorite items in the new Holiday Catalog from Stampin’ Up so I just had to share. These catalogs should be arriving soon to customers and you are going to be in love! I started with the new Softly Falling TIEF and embossed my Thick Whisper White panel. This embossing folder is awesome. While it is meant to be “snow”, I just used it as a texture layer with the concentrated dots at the bottom (helped me stick to the sketch). It is so pretty and more impressive in person than in my picture. Then there are the snowflakes. These wooden Snowflake Elements are awesome. I should have gotten more. There are 24 in a pack and I’ll be through them in no time! I took them and smooshed them into my Versamark Ink Pad and them poured Silver Stampin’ Emboss Powder on them. Add a heat tool and they emboss up super fast. GORGEOUS! They are attached with the new Fine Tip Glue Pen…so great for tiny things! I added a Basic Rhinestone to each center with such a pretty effect. Next, using the new Christmas Greetings Thinlit Dies and my Big Shot, I cut out the sentiment from Silver Glimmer Paper. Mmmm….glitter! As if the shine and sparkle weren’t enough already, I added a layer of Silver Foil behind the image layer and popped the whole thing up on Dimensionals. This card is such a wow in person. I love it and I hope you do too! Now if you have ever needed inspiration, this is the week to get ready to Pin. I’m in complete awe over the talent that is in our guest gallery. As if I wasn’t already mouth agape enough from the FMS DT!!! The support from the stamping community has been humbling for all of us at FMS and I cannot begin to tell you what it has been like for me over the last few weeks. Every time a card was sent to me, I squealed out loud. As the companies responded with their sponsorship offers, I could hardly believe what I was reading. At one point I think I channeled my inner Sally Field. We can’t deny that you like us…you really like us! *smile* And that is a fabulous honor for all of us at Freshly Made Sketches. This community of artists and friends is unlike any other I have known. I’m grateful beyond measure to Lesley for having given me, a small time and unknown stamper, the offer of being on this amazing team almost 4 years ago. It changed the course of my crafting life. 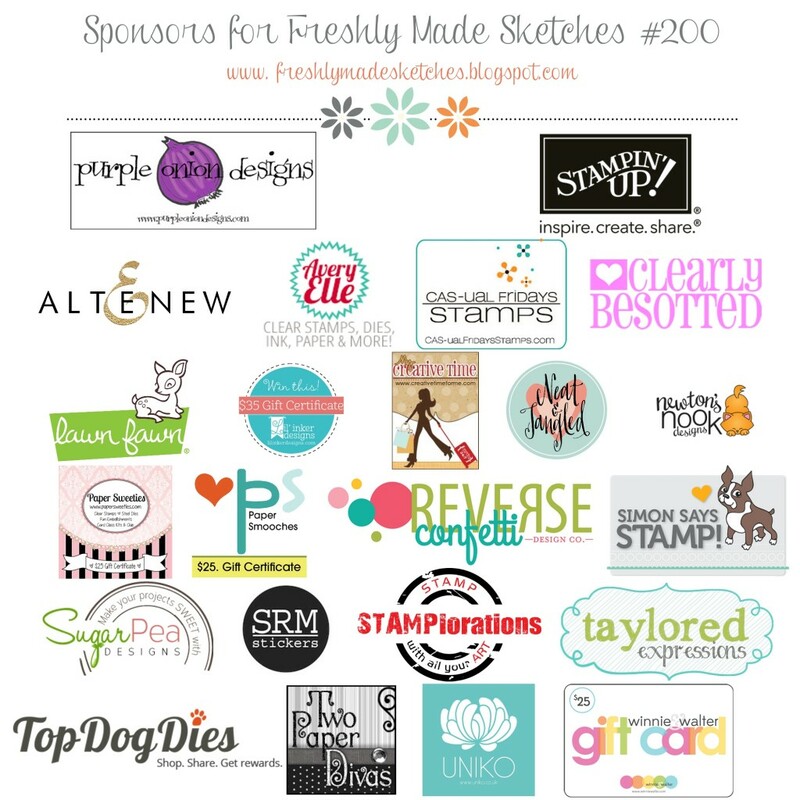 Gave me the confidence to enter and be chosen for Stampin’ Up’s Artisan Design Team. And most importantly, it has given me the chance to meet some of the kindest and most generous people in the world. The actual world….because we are all over the place and yet we feel like neighbors. So, I’ll stop being sappy before I can’t continue my post. I hope you have fun this week! Here’s to another 200! 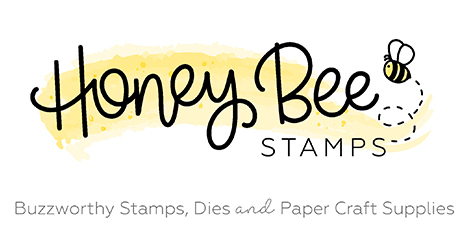 Click HERE to purchase wonderful Stampin’ Up products! This card is so perfectly you! Totally classy! I love its quiet elegance and those silver snowflakes rock! Thanks for all you do at FMS! I am so grateful for your encouragement, support and friendship! 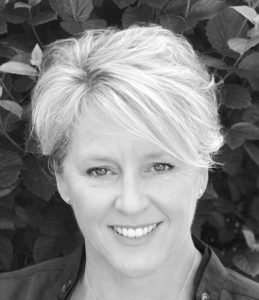 Great leaders inspire….. so true for you, Jen and Lesley! Onward to 300! Simple and stunning, Jen. I love the elegance of your card and those embossed snowflakes are perfect! Super card! This card is so pretty and delicate looking! I love the tip about embossing the snowflakes – that’s brilliant! Congratulations on such an amazing accomplishment! How incredible! Beautiful card: this would be a lovely card to receive for Christmas! Awesome card! I love all that silver sparkle. Your card is stunning Jennifer! Thank you so much for all that you and all the other DT members to for us with FMS; I refer to past sketches all the time for inspiration when I’m designing a new card. You guys are the best! I love how you’ve embossed these snowflakes! And the shiny, sparkly silver is stunning against the clean, crisp white. A beautiful card, Jennifer! Thank you for all of the work you’ve put into this celebration and into this team. OH WOW! This card is beautiful! I love that falling snow embossing folder! It’s just beautiful and those snowflakes…oh, gorgeous! Thank you for organizing this challenge and for all the nitty gritty you do for us each week! What would we do without you?! This is clean and simple perfection! The silver snowflakes and shimmery sentiment are absolutely perfect together! And what a crazy world it is that we were all brought together by this challenge. I’m so grateful that we know each other and share this crazy, crafty journey together. Truly a beautiful card! I am curious what you mean about “so many prizes… You don’t want to miss it!” Is there a drawing, or blog candy? Please advise. And congratulations on #200! Oh this is so beautiful and elegant and it looks even more gorgeous than when I first saw the smaller version the other day. Those snowflakes are stunning and I love how you’ve incorporated the sketch into your design – so very clever! I love being on this team with you and hope it continues for a very long time! What an amazing card,Jennifer!! Like everyone said…looks so elegant!!! I love the pretty snowflakes and the glitter on the merry!! Dang!!! This rocks so hard, total card envy! Beautiful card! Thanks for the inspiration! I don’t understand, though, is this a card challenge? Can anyone enter? If so, how? This is awesome, Jen! Such an elegant and special card! Beautifully elegant card Jen! I love the tip to emboss the wood elements. Oh I just love Christmas cards – I make them all year long! Your snowflakes are so pretty – this is gorgeous CAS card! Great inspiration, thank you! It’s my first time joining Freshly Made Sketches! Always inspiring Jen! This is stunning and I can’t wait to make something similar! I hope my card was clean enough – don’t think I’ve played at FMS enough :/. Either way, it’s always fun to see the cards – 20k cards! Wow! Thanks for sharing and congrats on 200!! What a wonderful, beautiful card – love the snowflake elements and the white on white look!! Just lovely beyond compare!!! 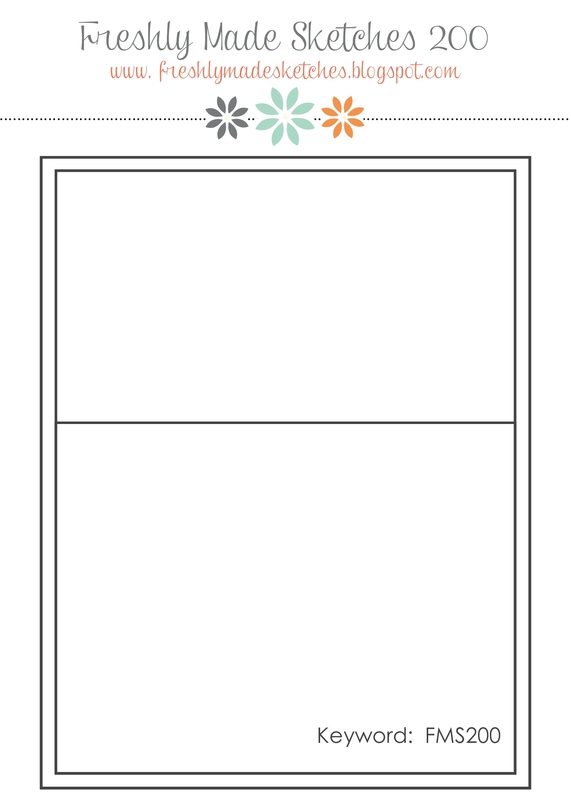 Love your clean and simple white on white card. It rocks. TFS! I just keep staring at this gorgeous card! LOVE the embossed wooden snowflakes! Gonna have to try & find some! It so clean and beautiful! I love your silver and white color! All credit to you – your hard work and enthusiasm made our 200th the biggest celebration around!! Congrats on FMS 200th! I Love joining this brilliant team any chance that I can!! !